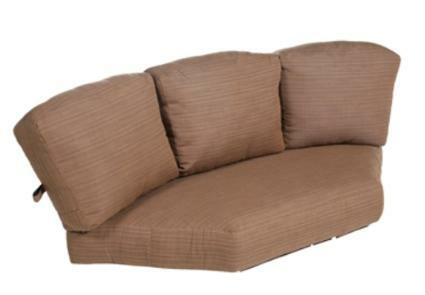 Item #7298 - Corner Sectional Cushion. Boxed with zipper and velcro at the seat and back. Dimensions: (seat) 28" /60.5" / 24" wide x 25" deep x 6" high; Outside backs: 22"' wide x 20" deep x 4" high; Middle back: 23" wide x 20" deep x 4" high.